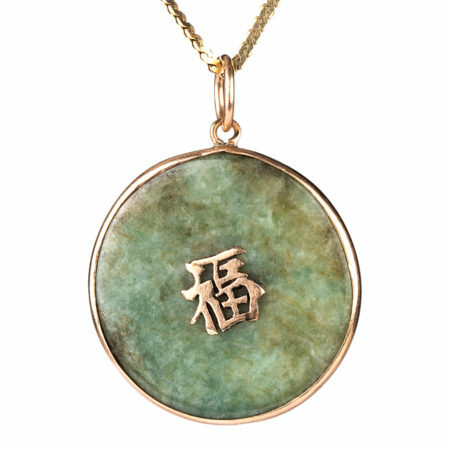 This charming pendant is crafted out of rare jadeite jade. The jadeite disc is bezel set into the pendant and features a medium slightly green hue. Circa 1940.